Three times, drug traffickers, landowners and miners wanted to kill Semeí Verdía Zepeda. They didn’t succeed. Skinny, wearing a sombrero, shrewd, the Nahua comunero from Santa Maria Ostula came out of the attacks alive. However, on Sunday, July 19, he wasn’t so lucky. That day, at 10:00 a.m., members of the Army arrested him in the village of La Placita, despite having no arrest warrant against him. On July 19, a platoon arrived at the sites of El Duin and Xayakalan, where the Ostula Community Police and self-defence groups of the Sierra-Coast maintain checkpoints. The soldiers ran their vehicles into the checkpoints, fired their rifles and tried to arrest several community members. 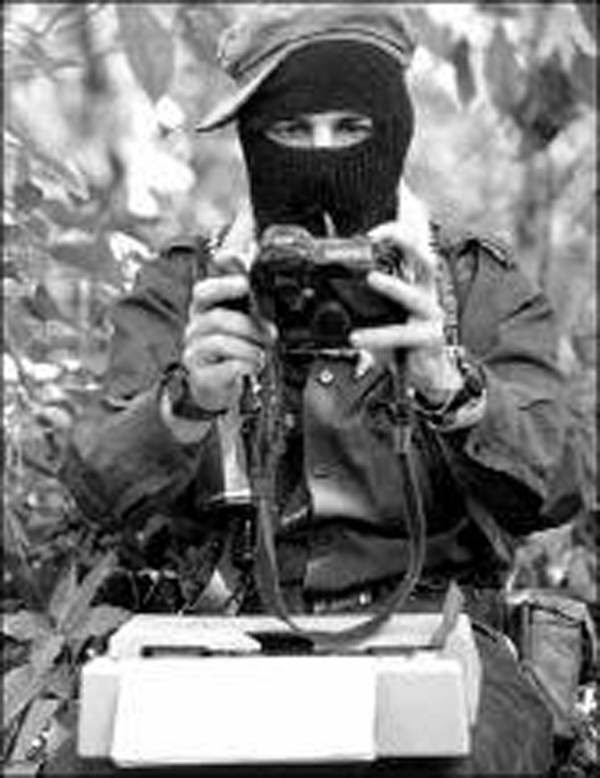 Much later, members of the Michoacán Coordination Group [combined Army, Federal Police, State Police forces] tried to seize the treasurer of the Commission of Communal Goods of Santa María Ostula. They could not do it but, instead, stole radios used by the community to protect its territory. They also stole the seal of the Council of Vigilancia. 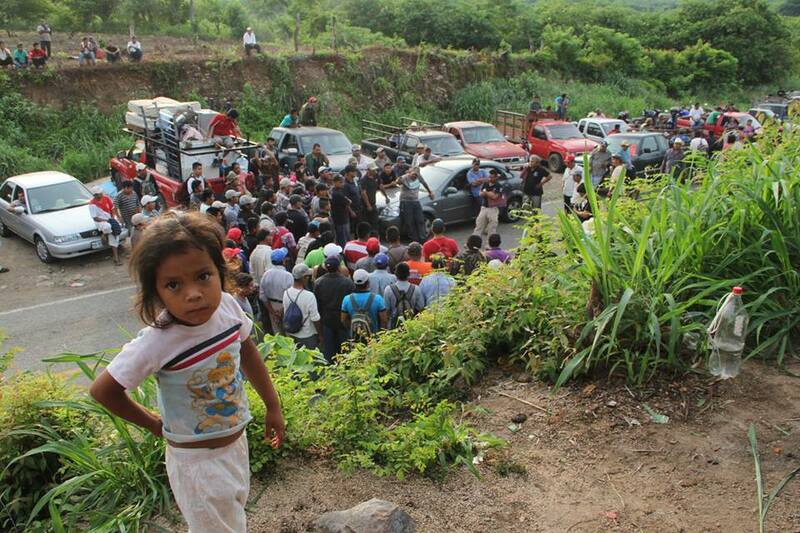 Hours later, at 5:00 p.m., federal and state forces attacked the roadblocks placed by community members … on Highway 200, from Lázaro Cárdenas to Manzanillo. With their vehicles, they rammed the Community Police roadblocks and burned several trucks and trailers that were there. They fired tear gas and fired indiscriminately at community members. According to the comuneros, the tragic outcome of this attack was the murders of two children—Iriberto Reyes Garcia, 12, and Neymi Natali Reyes Pineda, 6—and a senior citizen Melesio Cristino, 60. Two other people were injured. Semei’s arrest and the military-police attack on the comuneros is a betrayal: it violates agreements signed between the community and both federal and state governments, where the commitment to respect the local Community Police was settled. Ostula is an indigenous community in the municipality of Aquila, Michoacán. In Nahuatl, Ostula means place of caves. It has over a thousand inhabitants, overwhelmingly indigenous comuneros*, who grow organic hibiscus, papaya and tamarind. They are also developing projects of alternative ecotourism, since its beaches are one of the largest centres of arrival of Ridley turtles and greatly appreciated by surfers. Ostula is plagued by the alliance between The Knights Templar cartel, supposed “small landowners” and mining companies, who have tried to rob the indigenous people of their lands, natural resources (iron mines) and timber (especially the sacred sangualica tree). Its terrain can be a very important base of operations for the movement of drugs and weapons. According to the Sustainable Regional Plan of Michoacán, the government wants to construct highways, bridges, hotels and residential subdivisions without consulting the community. It aims to open the business to others [i.e., private investors]. In its determination to go for these riches, the alliance has not hesitated to use violence. 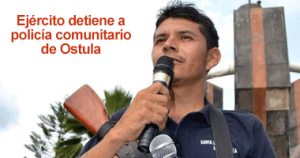 Since 2009, when the inhabitants of Ostula organized to defend themselves, 32 comuneros have been killed and six others have been disappeared, many of them bilingual teachers. Strangely, none of The Knights Templar’s territorial bosses who operate in the region have been arrested. All remain free and seek, by whatever means necessary, to recoup this rich territory. In June 2009, long before the rise of the Michoacán self-defence movement, the comuneros of Ostula signed, together with the members of the National Indigenous Congress (CNI), the Manifesto of Ostula. The document—historic in many ways—claims the right to indigenous self-defence, which later spread to many other parts of the country plagued by organized crime and government complicity with it. Two weeks after the signing, hundreds of comuneros recovered more than 700 hectares illegally occupied by mestizo caciques linked to drug trafficking. That’s when the indigenous people of Ostula, in accordance with their legal systems, formed their Community Police to defend themselves and protect their lands and territories. Semeí Verdía, its first commander, was elected February 8, 2014, at a general assembly attended by 1,200 people. In 2010 Semeí was forced to flee his pueblo, because they tried to kill him while he was playing soccer. For years he was on the run in Jalisco, Colima and Veracruz. At that time, two of his uncles, teachers, were killed. In an exemplary manner, Ostula’s Community Police restored order and expelled the drug traffickers from the region. But the criminals, who took refuge in other communities, were lurking, waiting for the opportunity to control the region once again. Thus the military-police attack on the comuneros and Semeí Verdía’s detention, in violation of the agreements signed between the comuneros and government officials, is a betrayal. In fact, it opens the terrain to the drug traffickers to establish themselves once again, and it makes it easier for the large businesses to make fat profits on communal lands without the consent of the land’s true owners. Tragically, Ostula reminds us that in this country those who defend from organized crime are attacked by the government, while the criminals are free and unpunished. It doesn’t have to be a muddle: the responsible party for the murders of two children and an adult in this indigenous community was the Army. * Comuneros are members of indigenous communities whose land was granted to them by the Spanish king after the conquest. Comuneros own and work their land collectively. Article 2 of Mexico’s Constitution recognizes the right of these indigenous communities to choose self-government under traditional uses and customs, or indigenous customary law, which includes a system of justice. The assembly is the traditional decision-making mechanism; decisions themselves are communal and consensual.